On Saturday 1st August, 2009, I visited CERN, the European Organisation for Nuclear Research, near Geneva http://public.web.cern.ch/public/en/About/About-en.html. I looked down, in awe, into the Large Hadron Collider http://lhc-milestones.web.cern.ch/LHC-Milestones/year2008-en.html. There was a vibrancy there. The Large Hadron Collider project is a huge collaborative scientific undertaking. It is seeking new knowledge and understanding in a non-political and open way and it is a stimulus for science, engineering, industry and learning. I believe CERN is working for the good of humankind and for peace, cooperation, and collaboration. That is not to say that it is easy; for whenever people work together, or try to, there are tensions and difficulties. However, working together, collaborating, and sharing ideas and insights is still a far better option than not working together, not communicating, not engaging, being antagonistic or, in the extreme, engaging in war. It is a great shame that Ireland is not a member state of CERN. It is an injustice to its young people and especially its young scientists and engineers. It risks leaving Irish high-technology industry somewhat out-of-the-loop. In fact, in my view, for so long as Ireland does not participate as a member in this huge collaborative effort of its neighbours and contributors from around the world, its claim to be a scientifically advanced country rings somewhat hollow. A scientifically advanced country, by definition, engages actively in the most advanced and most fundamental and most important science. In my view it is not sufficient to rely on the European Commission’s participation as an observer. In engineering generally and particularly in an ongoing project such as the construction, operation and maintenance of a huge, leading-edge, experimental facility, such as that at CERN, safety must be of the highest priority. I’m sure it is. If a significant accident were to occur it would not be right for Ireland to point a finger at its neighbours who are engaged in the endeavour. Ireland, in common with humanity generally, is already benefiting from advances made at CERN, for instance: in the areas of computing, medical imaging and the destruction of internal cancerous tumors. On the planet Earth the stakes are high. Humanity may make itself extinct through its actions or through inaction where actions are required. There are those who fear nuclear energy and nuclear research. I believe they are wrong to use this fear as a justification for rejecting nuclear research or nuclear energy and they are especially wrong to use it as justification for not continuing to develop our understanding of nature at the most fundamental level. There are those who would leave us in the dark about, for instance, ‘dark matter’ and the structure and forces of the universe—of course, there is no malice involved. On the other hand, scientists and those who are truly fascinated by nature, like children, are burning with curiosity and are yearning to understand more deeply nature’s glory which, as Albert Einstein pointed out, is inherently understandable. Of course scientists must be responsible: they must accept and honour the responsibilities they carry. CERN is an inspiring, collaborative and hugely creative attempt to explore the atoms (smallest or indivisible parts) of what we call atoms, the atoms of forces, the atoms of space and the atoms of time. These things are being understood and revealed and they have a glorious beauty, symmetry and an amazing underlying simplicity. The understanding gained spills out into human endeavour and provides deep insights that allow us to deal with our human and societal issues. In fact, by working together to understand nature, to respect it and to be in harmony with it, we are being true to our own human nature. There are valid reasons to be fearful in many different areas of human, societal and environmental development, but neither nuclear research nor nuclear energy are in themselves risks to humanity; neither is particle physics. Humankind already has sufficient knowledge, of many different types, to destroy itself. A more important question, perhaps, is whether it has sufficient knowledge and collective intelligence to save itself from destruction. In my view, the appropriate response to fears for humanity or the environment is a proactive one and a participatory one. I believe in being open to considering all options, while advocating due diligence and caution. Humankind has many problems to solve and I believe the work at CERN is making a major contribution to solving them. 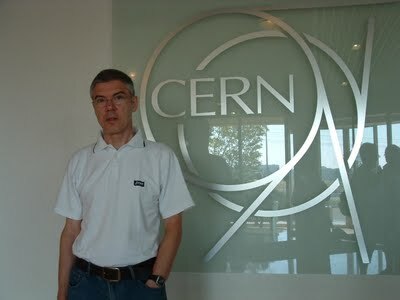 This entry was posted in Sustainability and tagged CERN on August 3, 2009 by admin.